OxyDive assure that the subcontractor, equipment and personnel appointed for your project meets your standard and requirements . Each audit is carried out in accordance with the internationally recognized standard of the International Marine Contractors Association (IMCA) and in accordance to our client's specifications. We give you assurance of enhancing the diving / ROV projects safety performance. Our range of services include the auditing of vessels, diving systems (air, mixed gas, saturation, multiple-bell systems) including DP and ARDSVs. We provide consultancy and audits for diving equipment, personnel, procedures, contingency & emergency plans as well as vessel audits and risk analysis. OxyDive Services are ideally qualified to perform Saturation and Air Diving System Audits to IMCA specification for Major Contractors, Vessel Owners and End User Companies. We use only KEY personnel with a vast experience in the field and are a completely independent consultancy . We aim to display an objective commitment to Diving Safety Management, Equipment and ROV Equipment Inspections with unsurpassed quality. The objective is to serve the client's standards and the contractor's reputation . We aim to verify compliance with requirements from country of jurisdiction, Clients Terms as well as the Approved Code of Practices of accredited memberships. From pre order to actual commissioning of the equipment OxyDive Services can advise on design and installation. We can oversee and report on installation. OxyDive Services can audit your personnel, procedures ,manuals and facilities. ROV systems, equipment and or installation audits. We have a number of competent auditors to carry out Diving System and ROV System technical audits. Each audit carried will be as per the client's specific requirements as well as in accordance with IMCA standards and guidelines. The audit report will comment where we consider the equipment or supporting documentation unfit for purpose or unsafe for operation as per legislation, Approved Codes of Practice, IMCA guidelines and (if requested) OGP Recommended Practices. All our auditors are technically competent and have received formal training of diving and ROV system and equipment auditing and will ensure that the audits are carried out comprehensively and to the current industry requirements. IMCA R006 Standard ROV Audit Document Inspection Class ROV. We provide consultancy and audits for diving equipment, personnel, procedures, contingency & emergency plans as well as vessel audits and risk analysis. Every audit is carried out in accordance with the internationally-recognized standards set by the International Marine Contractors Association (IMCA), and in accordance to client specifications, with the objective of the enhancing the safety of client diving equipment. The Diving and Off Shore Works Consultancy (DOWC) will provide its clients with an independent equipment audits for project operations. DOWC audits will typically consist of a systematic assessment of whether equipment is fit-for-purpose. They are guaranteed objective because carried out by specialists independent of equipment suppliers. The auditor must prepare audit documentation in connection with each engagement in sufficient detail to provide a clear understanding of the work performed (including the nature, timing, extent, and results of audit procedures performed), the audit evidence obtained and its source, and the conclusions reached. Audit documentation Provides the principal support for the representation in the auditor's report that the auditor performed the audit in accordance with generally accepted auditing standards . Audit documentation is an essential element of audit quality. Although documentation alone does not guarantee audit quality, the process of preparing sufficient and appropriate documentation contributes to the quality of an audit. Make the right investment decisions from the market survey of the saturation diving operation and the market needs, referring to the worldwide saturation diving support vessels design and specification. In the operational phase, choose the suitable maintenance strategies for the vessels and saturation diving equipment. Monitor the running status in order to ensure the sustainability, availability, high performance, and safety for potential improvement in economic performance and safety. 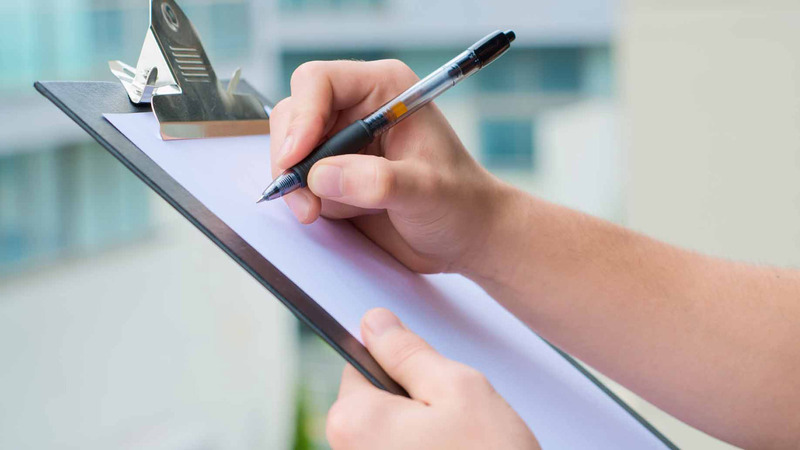 An audit report will be provided in support of the industry recognized auditing tools and will comment where we consider the equipment is not compliant with the required standards and guidelines or fit for purpose and safe operation. OxyDive Services produce procedures to comply with risk management. Our Services can supply Risk Managers for your project in the form of Key qualified consultants within the industry. Their job is to work for you or between you and your clients and or contractors, in producing on the job Risk Assessment and Risk Management. Risk management will help with quickly and efficiently producing risk free procedures for all steps of your project. We routinely carry out Occupational Health Assessments for our clients. These include pre-employment medicals, fitness-to-work' medicals, health surveillance, annual medicals and exit medicals. Services also include sickness absence management and wellness programmes, return to work programmes and case management. Through our Consulting service we can also can also develop occupational health programmes for our clients. We produce Risk Assessment manuals written specifically for your companies'personnel, equipment and procedures to International Standards. Identify hazards and guide you through the process of selecting and applying control measures. Assess the health and safety risks associated with particular tasks or events. Consider possible control measures to reduce the risks assess the effects those control measures have on the risks. We assist in Safety Management and in Accident Prevention. Providing safety professionals to provide advice and to conduct Safety Management Reviews, In the event of an accident/incident DOWC can provide qualified, independent services to complete investigation and compile in-depth reporting. Consultancy Equipment Evaluations, Third Party Professional Witness, Technical Consultancy on Diving International Standards ,Safety Management Consultancy, Hyper-baric Consultancy. Engineering Services, Structural and mechanical design and analysis Process engineering we can provide operational and technical support during accident and incident investigations to determine roots causes analysis for failure of equipment or processes and provide a comprehensive report detailing the root cause of the incident and provide suggested solutions to avoid similar incidents in the future. Quality, Health, Safety and Environment management system. Offshore diving safety management system. Diving system operating and emergency procedures. Assessment of the diving system equipment. The findings will be documented within a report and discussed with the client and diving contractor to achieve a satisfactory conclusion agreed by all parties. Safety must be built into all project planning and operational procedures. We can assist in Safety Management and in Accident Prevention. The audit report will comment where we consider the equipment unfit for purpose or unsafe for operation as per legislation, Approved Codes of Practice, IMCA guidelines. Assurance audits provide a systematic approach to verify the adequacy of the system processes and the competence of personnel to ensure compliance with the minimum standards agreed within the industry. These would all be reviewed and the findings documented within a report to confirm whether the content is correct and meets the requirements of regulations, standards and industry guidelines that apply to the specific procedure or document. An optional follow-up, close-out audit in the form of a one day site visit can be performed to check progress of the closure of identified non-conformance.